The Estate Agents Act 1979 is quite specific as to how contracts between estate agents and their customers should be documented. 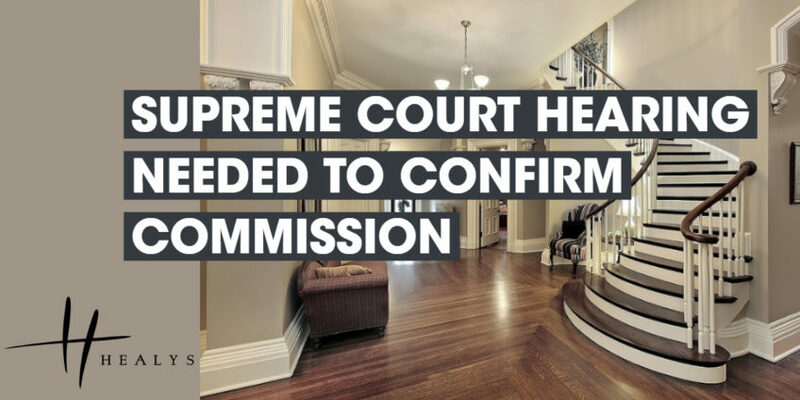 A recent case dealt with the outcome of a failure to adhere to the terms of the Act, which in essence meant that an estate agent has faced a more than ten-year delay in securing his right to a commission. In 2007, the developer of a number of flats wished to sell them. He arranged for his neighbour to send an email to the estate agent about them. The estate agent then rang the developer and told him that he would market them, charging 2 per cent commission on each sale. The estate agent introduced a housing trust, which subsequently purchased the flats for £2.1 million. He only submitted his terms and conditions to the developer after the introduction had been made. There were two issues at law. The first was whether there had been a binding contract. The Act contains specific requirements about how such contracts should be made, and the estate agent had not complied with them. Secondly, there was the question of what event would trigger the commission payment to the estate agent, this not being expressly defined. A series of court cases ensued and the dispute ended up in front of the Supreme Court in February. The Court ruled that a contract had clearly been made and ‘the obligation to make payment of the commission on completion was required to give the agreement business efficacy and would not go beyond what was necessary for that purpose’. The Court also held that the failure to adhere to the terms set out in the Act was not so significant as to render the agreement unenforceable. In this case, the developer will face a legal costs bill well into six figures. It is a clear example of the sort of dispute that might well have been resolved more amicably, more quickly and at much lower cost through a negotiation or mediation. Of course the whole issue could also have been avoided had the estate agent not acted in haste but rather taken time to get the paperwork in place first. There are lessons to be learned for both parties here.